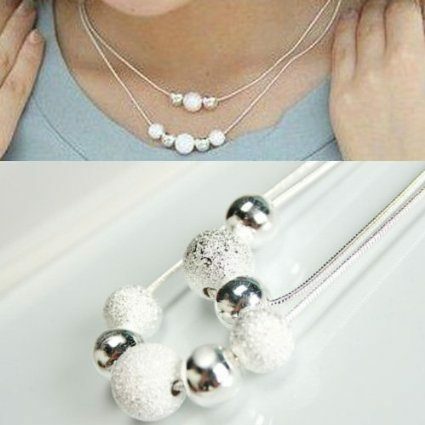 Silver Ball Double Layer Necklace Just $2.99 + FREE Shipping! You are here: Home / Great Deals / Amazon Deals / Silver Ball Double Layer Necklace Just $2.99 + FREE Shipping! Get this Silver Ball Double Layer Necklace for just $2.99 plus FREE shipping on Amazon! I love that it is simple yet pretty and can be worn in a variety of settings.